At Volvo Sherbrooke, we believe that delivering value to our customers is just as important as the quality of our service. 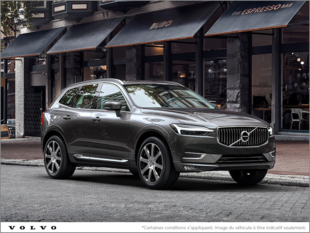 You expect the best service when you come to one of our departments here at Volvo Sherbrooke, but you also expect to get more value for your money. That's why we have a host of special offers and regularly updated deals to offer you. Whether you buy a new vehicle, a pre-owned car, an original part or accessory, or a package from our detailing department, special offers at Volvo Sherbrooke allow you to save money at each visit. Looking for your next vehicle? 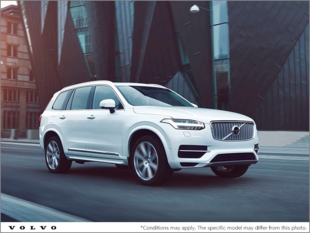 Volvo Sherbrooke offers discounts and deals on the purchase of a new or pre-owned Volvo vehicle as well. We have advantageous interest rates to offer you as well as discounts on our various vehicles that we have in stock. 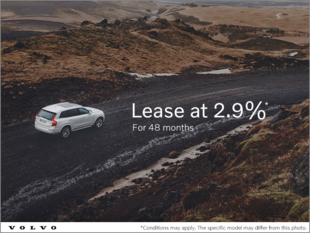 Volvo Sherbrooke also has special offers and reduced interest rates on Volvo Certified Pre-Owned vehicles. You can discover all of our special offers on our website. Check back often, as our offers are regularly updated every month.